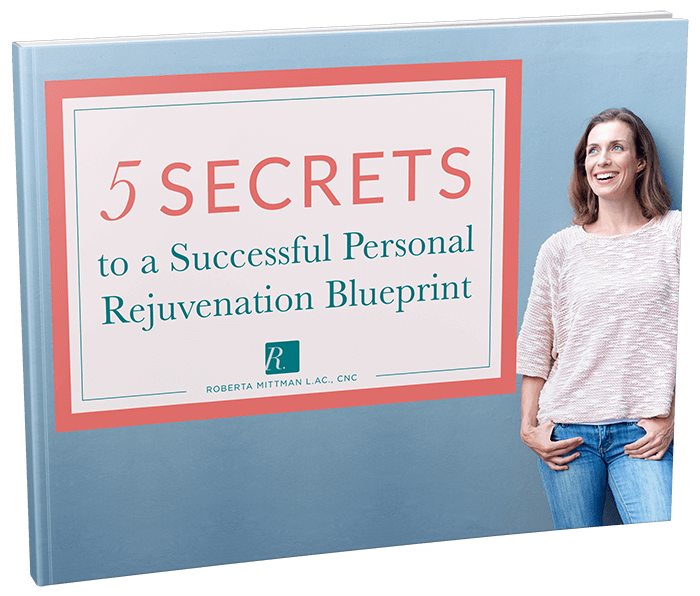 Wherever you are in your personal health and wellness revolution, the practical and down-to-earth advice in my book is a must-have guide to turn to, again and again. You’ll discover easy-to-understand ways to alter your mindset and habits to effectively offset health conditions from headaches to IBS, acid reflux, spring allergies, weight issues, insomnia, debilitating stress, and more. RECOGNIZE ways of thinking that just aren’t working for you. REFRAME how you regard the conditions keeping you from living your most vibrant and luxurious life. RECLAIM your ultimate health and energy. “…I love this little book. Roberta’s knowledge, insight and conversational style draw you in and before you know it she makes you realize it IS POSSIBLE to be healthier so you can accomplish the things you want to do! Roberta’s tips make it easy to take the steps you need to take. 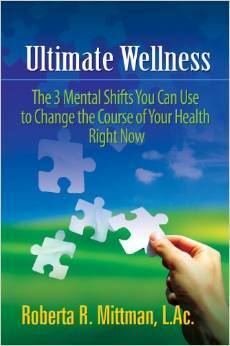 Ultimate Wellness is the book you will keep nearby and give as a gift because you’lll actually ENJOY reading it!”– H.S.